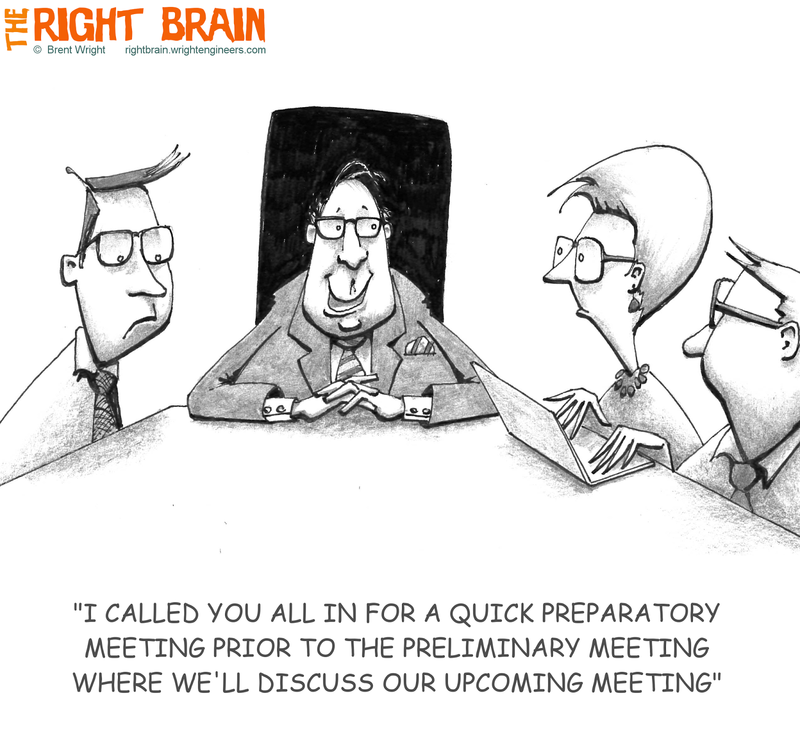 We all know that it takes a really good meeting to be better than no meeting at all. This guy is definitely not one of us! A few years ago, I came across the book "Death by Meeting" by Patrick Lencioni and had to buy it. I can't remember a thing the book said, but the title was irresistable. Credit for this cartoon idea goes to Brent Bauman, Architectural Project Manager at Pulte Group Southern California Division.